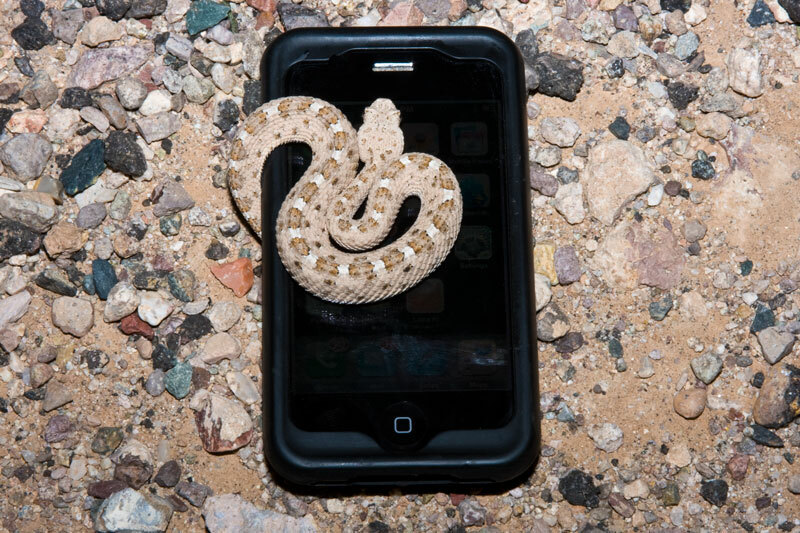 Although this isn’t nearly the smallest Sonoran Sidewinder (Crotalus cerastes cercobombus) I’ve ever seen, it was the one I saw on a night when I was bored enough to try and make it sit on my phone for maybe the nerdiest photo I’ve ever taken. Here they are, and yes I’m a dork. 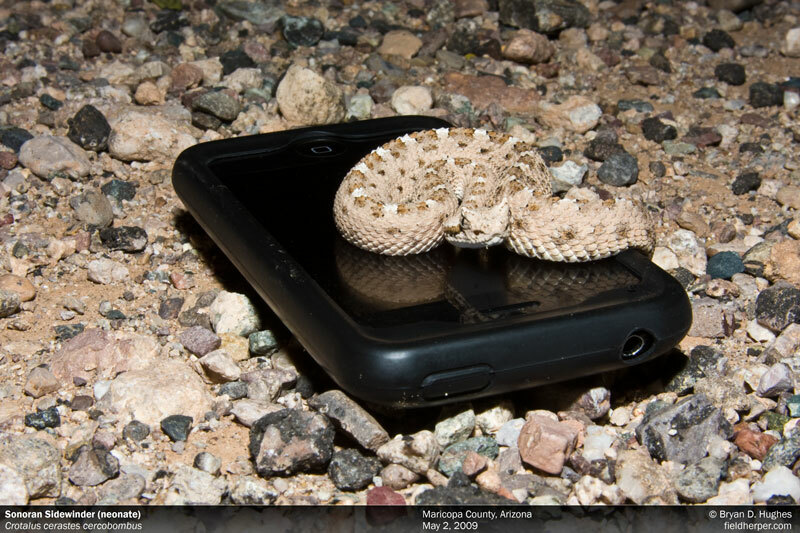 This entry was posted on Tuesday, July 28th, 2009 at 12:10 am	and is filed under Field Herping, Personal, Photography. You can follow any responses to this entry through the RSS 2.0 feed. You can leave a response, or trackback from your own site. haha, I’d take this app any day.